Nowadays men tend to go to beauty salon more often and try different special facial treatments. They are known to have a lower pain treshold, therefore Guinot has developed a facial treatment escpecially for them. During the Guinot Hydradermie Homme treatment we soften the skin by using a Guinot ionizing machine (unpleasant, stifling steam is a thing of the past). We make the skin cleanable with hydrogels suitable for the skin type, and with the help of ultrasound and iontophoresis. The special Guinot hydrogels are introduced into the dermis, where sebum is produced. After sebum comes to the skin surface, we remove it painlessly. During the Guinot machine treatment you might feel tart, metallic taste. Men’s epidermis is thicker by 15% than women’s. Due to testosterone they produces more sebum and they have enlarged pores on their skin. To solve these problems, microdermabrasion (its better known name is skin polishing) is included in the Guinot Hydradermie Homme treatment. Microdermabrasion works like a vacuum cleaner. Skin is scrubbed with fine grained microcrystals. For those, who have inflamed skin, there is nothing to worry about. We lay the microdermabrasion head on the inflamed surface and with the help of the vacuum we clean the problematic area without any pain. Due to microdermabrasion dead skin cells are removed and your skin breathes again. 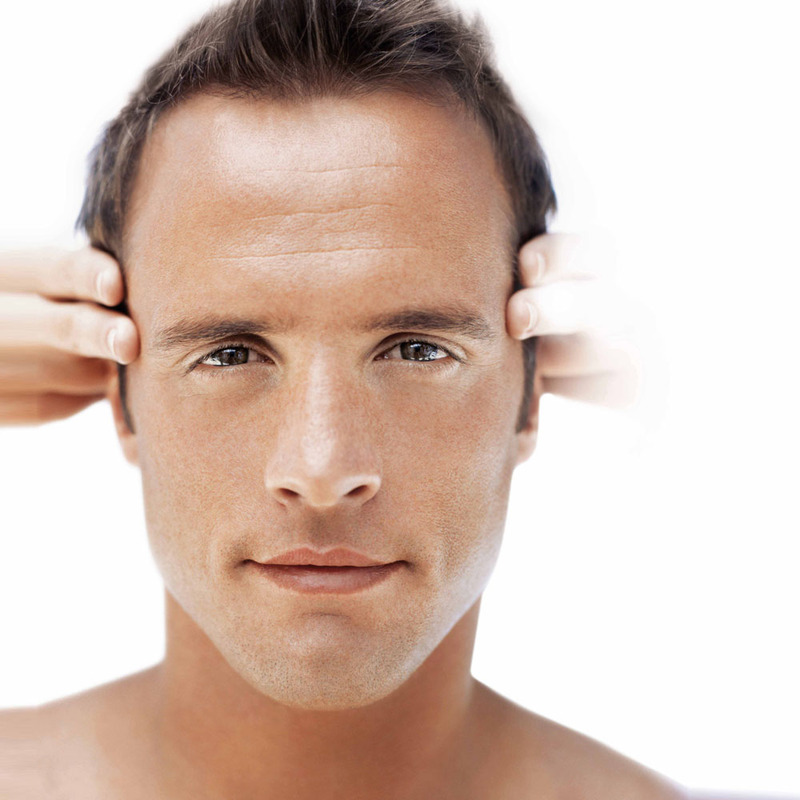 Men often turn to us in order to make scars on their face disappear. In this case we recommend them the Vitalaser hyaluron treatment, which is also painless and provides extremly spectacular results. The treatment contains microdermabrasion, too. This treatment is recommended to those men who, besides face cleaning and microdermabrasion, pay attention on preventing wrinkles. Passage of time also appears on the men’s face, but we can do against it. In this treatment besides the general skin care we also use anti-wrinkle ingredients.